New LAYLA Same Great Sleep Results! Because better sleep leads to a better person. 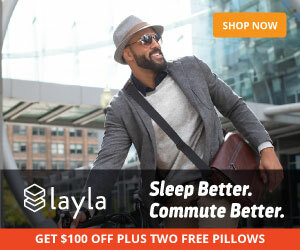 Besides focusing on getting the best out of your mattress and the best night’s sleep ever, LAYLA’S geared its attention to a better you through better sleep. And I absolutely agree with his theory, I mean YOU matter the most and YOU, as a sleeper, come first. And so, it began. LAYLA’s new journey is off and it looks very promising. New year, new LAYLA, NEW AND BETTER YOU. 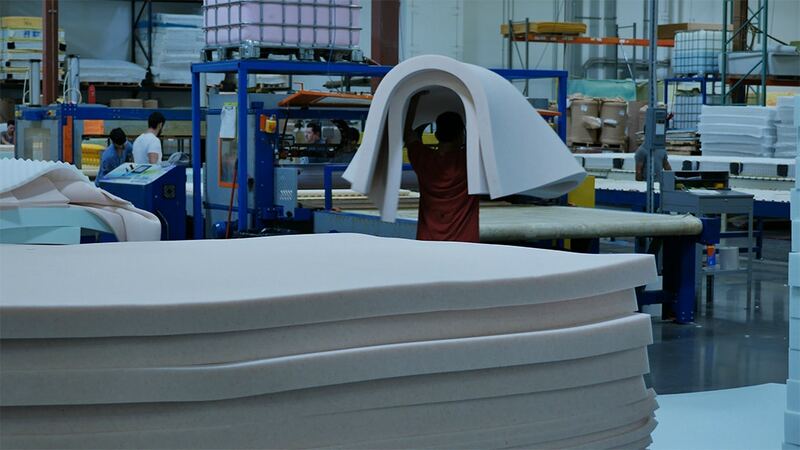 The core of the LAYLA mattress will exceed your expectations and it is so easy to flip the sides from soft to firm! It’s like two mattresses in one, or the best of two worlds in one mattress. It’s absolutely one of a kind. The cover itself is double sided and each side is marked clearly for you to distinguish which side is Firm and which side is Soft. If you push down on the cover it is amazingly softer than any other mattress cover, I have felt and here’s the reason why. 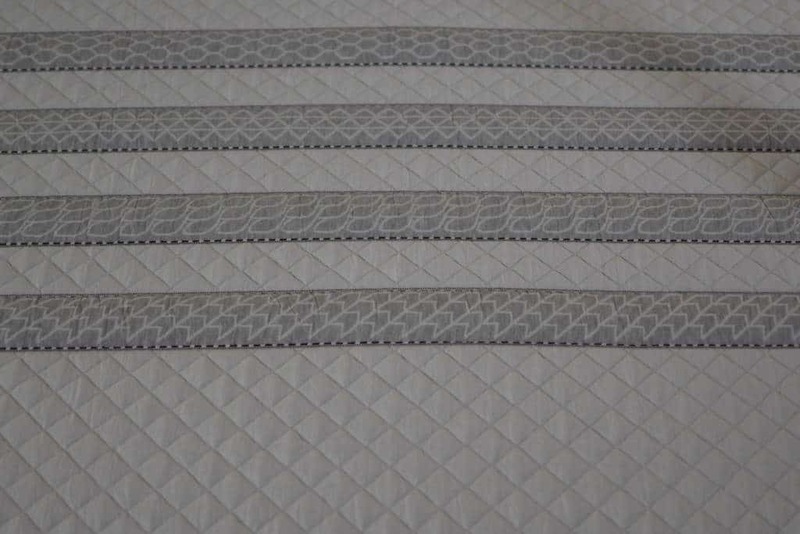 LAYLA has implemented a branded SOFTENING process to their fabric making their mattress cover incredibly SOFT. Sometimes the best tool for waking up is that tall cup of coffee, and if that’s the case it is time you reconsider your mattress and the way you sleep. Because after all it is just a stimulant that will help you for a limited time to boost your energy. After testing the Layla GEN2 I started to realize that the best part of waking up was all that energy Layla provided me. It’s like laying down on a power bank that charges you up and when you are awake you are ready for a new day full of excitement. I know there are tons of mattresses out there but with a mattress you can flip to find the right firmness for you, you get DOUBLE the chances to sleep better, wake up better and be a better you! So many factors make the Layla stand out but what really makes it so special is its performance. It’s all in the Layers, the core and the whole mattress at the end. Watch how easy it is for me to flip it from the soft side to the firm side. What they offer: 120 Night trial and here’s how it works. Once you purchase the Layla mattress you can sleep on it for up to 120 nights. If for any reason you are not totally satisfied simply call them (by the way they have amazing customer service) and they will walk through the return steps and refund your money no questions asked. BUT keep in mind you need at least 2 weeks before deciding if it’s right for you. Shipping and returning is always free. It is usually delivered within 2 to 5 business days (depending on your location). 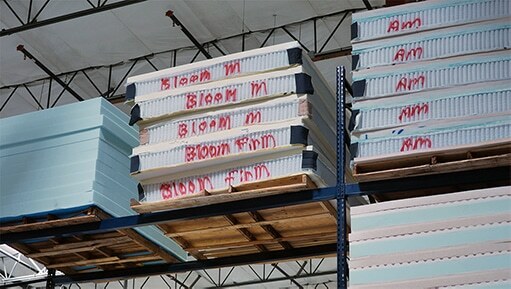 The Layla mattress ships from the factory where it is made in Phoenix, Arizona! In a few words and to wrap it up, Layla did great when it came to sleeping on my back, side and stomach. FYI, did you know that there are many stages of sleep? • The Beginnings of Sleep. During the earliest phases of sleep, you are still relatively awake. • NREM Stage 1. Stage 1 is the beginning of the sleep cycle and is a relatively light stage of sleep. • NREM Stage 2. During stage 2 sleep: People become less aware of their surroundings. • NREM Stage 3. During stage 3 sleep: Muscles relax. Blood pressure and breathing rate drop. And no matter your body movement or if you share your bed with someone it has impressive motion transfer you won’t feel it and nothing will wake you up ( unless you need to go to the bathroom). So my advise to you SET UP YOUR ALARM if you do not want to run late for work or school. The Layla mattress is super easy to flip and the firmness level tags are located conveniently and clearly where you can see them. The copper infused foam with its antimicrobial and cooling properties. The ThermoGEL in the cover keeping your body temperature cool when you are hot. It is dual sided for two firmness levels in one mattress. And it is made right here in America. What’s Inside the Layla Mattress? Infused with THERMOgel technology, keeping you cool at night. Trust me I wouldn’t rate this so high if I was sweating during these hot summer months in Arizona. This very easy to remove cover makes flipping or washing the cover so simple, as it has a ZIPPER! The pattern is simple, eye catching and super soft. I find myself questioning why I would put sheets or a mattress protector over the mattress all of the time. The cover is so great that if you are too tired or lazy to put your sheets on, you may find yourself sleeping without them. If you opt for the soft side, here’s what’s in store for you: The soft side and its 3″ of 3.5 LB COPPER-INFUSED MEMORY FOAM. 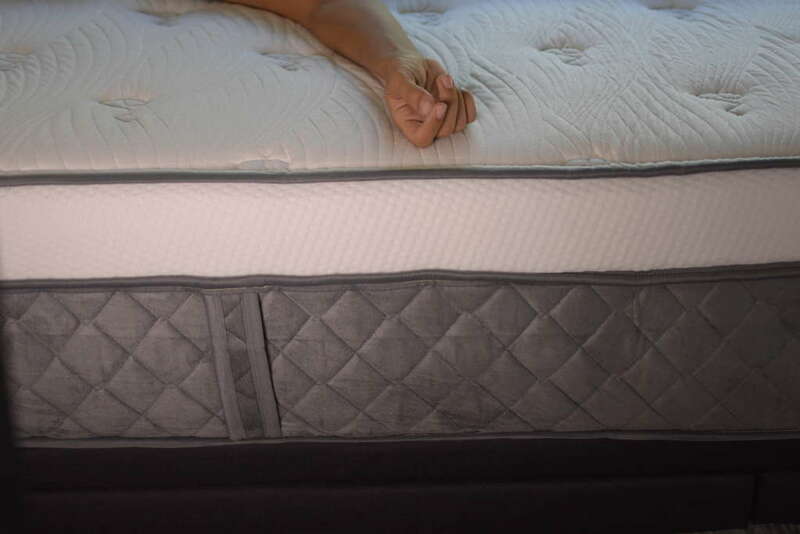 This High Density Memory Foam layer infused with copper provides cooling and excellent blood circulation. Now if you’re a firm side fan/sleeper, you will find an Inch of COPPER-INFUSED MEMORY FOAM waiting just for you. 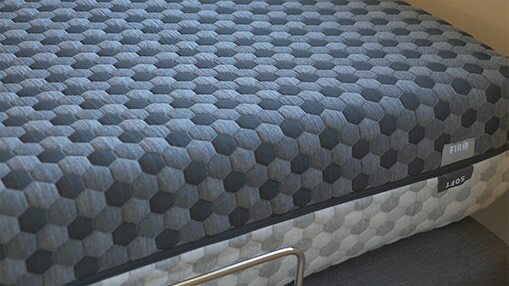 The Layla Sleep mattress is made out of foam infused with copper cells for a cooler sleep. Why copper you ask? Copper is well-known to provide healing benefits for your body and that’s when Layla’s geniuses thought it would be a good idea to sleep on it. Another reason why copper plays an important part, it’s because it reduces joint inflammation and helps ease joint pain and stiffness. This is especially helpful for people with rheumatoid arthritis and osteoarthritis which can help the sleeper move around easily with as much freedom as possible. I was fortunate to see them make Layla’s when I went to the factory here in Phoenix to grab one. 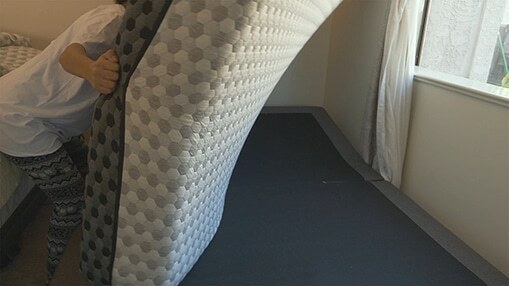 The Middle of the Layla Sleep mattress has 2 layers and the one on top depends on which side you flipped your mattress on. Let’s assume you are on the soft side as pictured on the left. 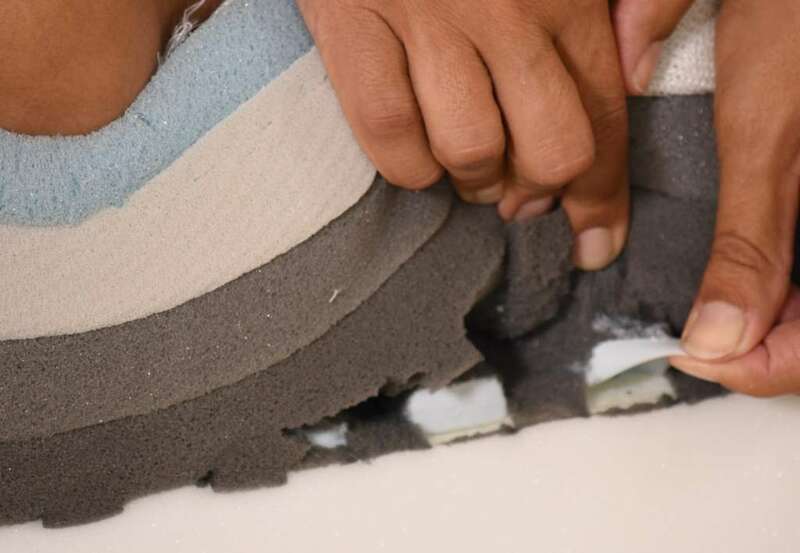 That means you have 2″ of 1.8 density convoluted foam for air flow. Then you have 4.5″ of 2.0 density, ILD 36, foam forming your base layer. 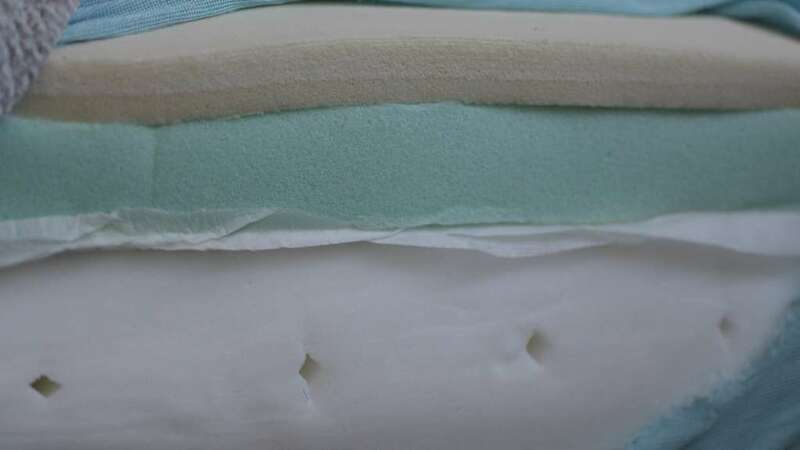 These 2 middle layers are the heart of the mattress, holding it all together allowing maximum airflow while providing the sleeper long lasting support. Keeping you cool again, while retaining the heat. In total the Layla Sleep mattress is 10.5″ tall and will fit into almost any bed frame. So we have a copper infused mattress you can flip, keeps you cool and has a fun cover. Are you curious as to which level of firmness I prefer? I’m a side sleeper so I love the soft side. For testing purposes I’ll flip it to the firm side every once in awhile, but it always makes it back to the soft side after awhile. Each time I flip it I think, wow this is going to last forever as I have had serious issues with mattresses that I have bought from the big box retailers in the past. 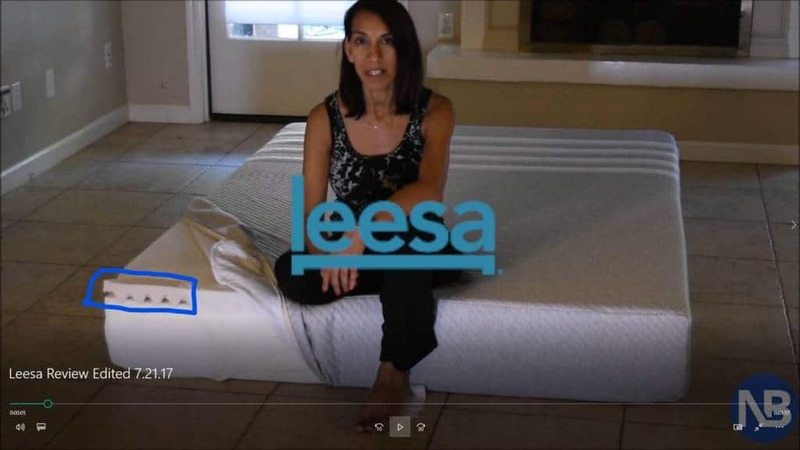 Most mattresses aren’t flip-able as increasing the life of a mattress isn’t in the best interest of most mattress retailers. I mean if you find yourself looking up at a mattress salesman at the store every few years, more money for them right? Yet another reason why I love the direct to consumer bed in a box model that Layla Sleep utilizes. They offer a 120 night sleep trial so there’s nothing to lose by trying one in your own home. For getting 2 beds in one, as a flippable mattress should last longer, the value that you receive is extraordinary. What if I Want to Experience Layla Before I Buy One? No one tops LAYLA mattress than LAYLA itself. And by that, I mean their mattress topper. 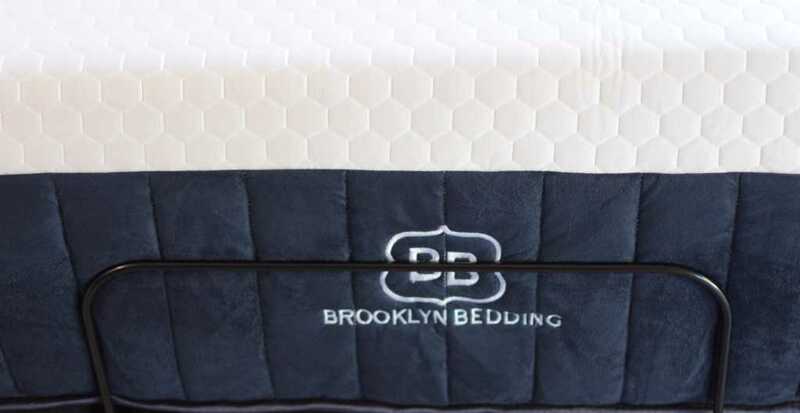 Just like extra fluff in a pillow or a bean bag to adjust them, a mattress topper is a must. Coming from my personal opinion and experience, I think the option of having a mattress topper is a must. It is the perfect add on for a little balance when you need it. 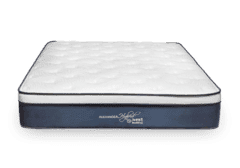 Since LAYLA is already a mattress with double firmness, Firm and Soft, and you turn out to be the sleeper who is looking for something in between, all you have to do is add their mattress topper. A very clever move. Makes me think now that the LAYLA in more then 2 beds in one! Absolutely brilliant. When I unwrapped the mattress topper it was all rolled up and I gave it enough time to rest and make sure the layer inside took its shape to fill the cover. I just can’t describe how soft it is especially when I tried it on the firm side, the bed firmness level transformed into medium and changed the whole situation. GAME CHANGER! 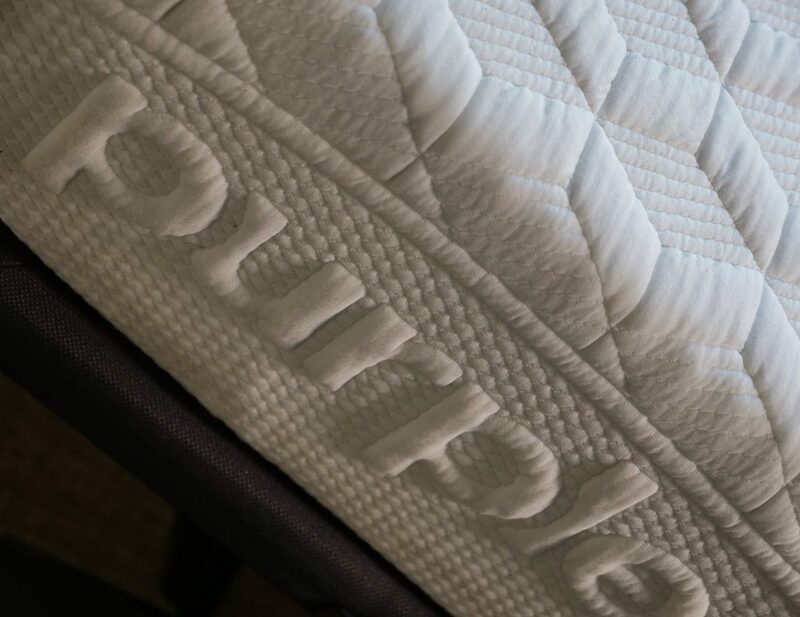 Just like the pillow and mattress covers, the topper cover is infused with cooling gel that starts working when your body temperature rises keeping you cool when you need it. The copper infused memory foam gives you that soft feel, it’s like this extra hug. Yet, when I tried it on the firm side of the Layla I could feel satisfying support for deep compression areas like my shoulders and hip. The Layla Topper is 2″ of copper-gel infused memory foam that adds a layer of plush comfort to any mattress. The topper cover is the same great material used for the Layla Mattress cover and is also infused with Thermo-Gel activating cooling technology. It’s in the small details sometimes. Like the four elastic bands on each corner of the topper. To some it may not be too impressive, I, on the other hand think it’s a genius move. The topper sits still securely and won’t slide off your mattress. What Makes the Layla Pillow so Great? Kapok for one – it’s all natural, hypoallergenic, and is soft and fluffy like a cloud. That, combined with premium memory foam that’s CertiPUR-US® Certified gives the Layla Pillow its soft yet supportive feel. The zipper allows you to open it up and adjust the fill to your preference. The Copper Cover! Copper fibers woven into the cover of the pillow sleep cooler and cleaner, and the cover looks and feels amazing. There you go.